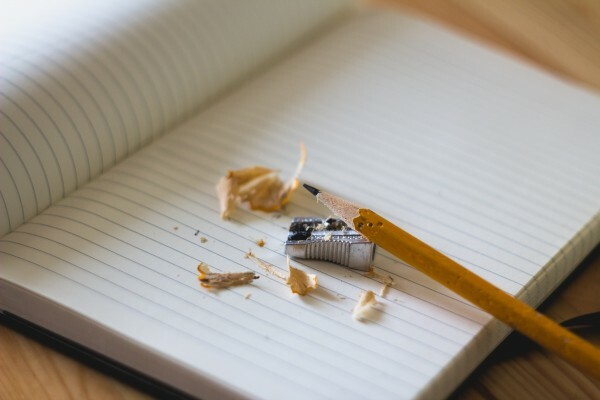 One of the most frequent questions young writers ask us is ‘how do I go about editing my work?’ Once the initial inspiration for a poem has struck and you’ve covered a whole side of paper in ideas, it can be really tricky to start the task of re-thinking, re-arranging and honing your writing from first scribblings into the final draft. 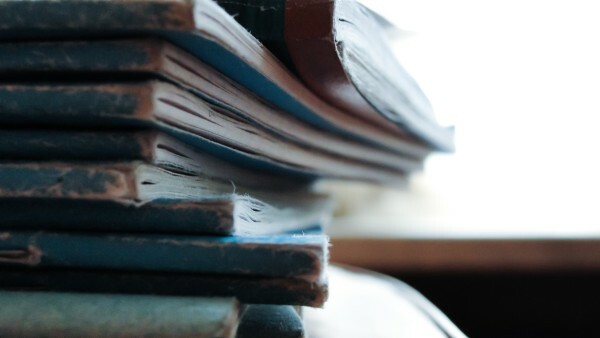 We bet there are whole libraries worth of unedited poems crumpled at the bottom of drawers and languishing in old notebooks – and we want to rescue them! 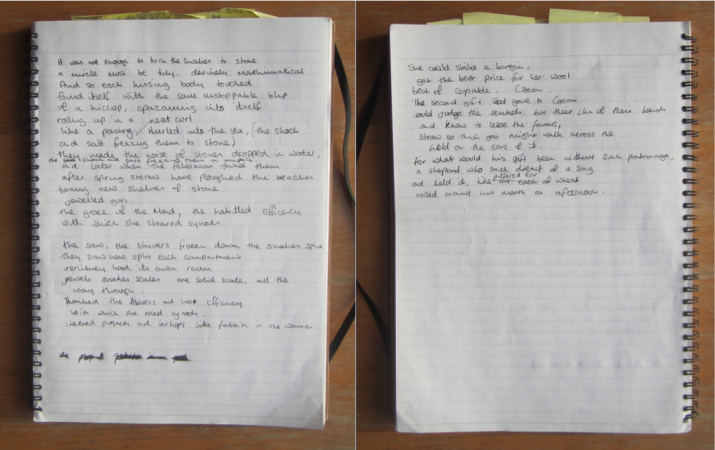 So we’ve enlisted the help of poet and editor Holly Hopkins to give us some expert advice on how to edit, using examples from her own notebook. I’ve chosen my poem ‘Hilda and Caedmon’ as an example to show how I edit work because it responds to the myth that poetry is purely the result of inspiration zapping a poet on the head. My poems often grow from ideas that have been gnawing away for a long time. I first learned about Caedmon as a teenager on holiday in Whitby. Caedmon is traditionally celebrated as the first ‘English Poet’ (composing c. 630s-680s.) The Venerable Bede writes that Caedmon was a herdsman with no poetic ability, until one night he was visited in a dream and instructed to sing the story of creation. On waking, Caedmon found that he could now sing poems. He then performed for Hilda, Abbess of Whitby, who supported him to become a monk. It always struck me as convenient that the poet given divine inspiration lived in Hilda’s sphere of influence. Hilda was a powerful woman: a noblewoman, an Abbess of a double monastery and later a saint. It seemed more likely there were other people as equally talented as Caedmon, but they never received the patronage that allowed Caedmon to be recognized, to escape farm labour and to develop his skills. I didn’t sit down to write about Caedmon. I was playing with automatic writing, scribbling thoughts as they came, to draw new ideas to the surface. The previous page in my notebook had thrown up sea cliffs, which is perhaps what sent me to Whitby and Caedmon. Some phrases in this first draft were used in the final poem, but there is also a lot of nonsense! I wasn’t worrying about what I put on the page because I knew I was going to go back and sort though it later. There are half words and abbreviations; since I thought no one would ever see this text it only needed to be legible to me. For example I’ve abbreviated Caedmon to ‘Caeon’. There is a legend that the ammonite fossils in Whitby are snakes that Hilda turned into stone and flung into the sea. In this first draft I was really enjoying describing Hilda defeating those snakes! I often pile up several metaphors or descriptions, knowing I will choose between them when I come to type the poem up. I sometimes write the poem out again on paper to start ordering my scribbles, but more often the next step is to decide whether the poem will be moved onto the computer. It is at this point that my judgment, which was suspended while I recorded my first thoughts, comes back into play and many ‘poems’ will be rejected. Only a handful of drafts from each of my notebooks will be typed up. I often make large changes when I move the poem onto the computer. I select the bits that interest me and leave the rest. Once on the computer I usually revisit the poem many times, saving each session (I number the file names so as not to get muddled!). I currently have ten word document versions of Hilda and Caedmon saved on my computer. rolling up, a neat pastry curl. and split them for the jewels in their bellies. to stand respectfully on Sundays. in a field from half a mile away. like a pilfered ear of wheat. As I’m transferring the poem onto the computer I’m also thinking about the shape and sound of the poem. Sometimes elements of the poem’s structure will have emerged when I was sounding phrases in my head, long before I made any marks on paper or screen. However, in this case the poem emerged from free writing, so instead I considered the shape the poem was already leaning towards, and then used that to develop the poem. In my first computer draft (see above) the four-line stanzas are in comparatively good shape, but the longer ones are flagging. In response, I decided to make all the stanzas four lines long to tighten the straggly sections. I am lucky to have found people with whom I can test poems. I shared ‘Hilda and Caedmon’ in the later stages of drafting, and in this case my reader pointed out that the ‘pastry curl’ wasn’t working. I realised all the other metaphors and similes fitted the medieval world I was invoking, making my Danish pastry metaphor very out of place. The ram’s horn alternative is less of a surprise, but it is in keeping with the world of the poem. ‘Hilda and Caedmon’ was published in Other Countries: Contemporary Poets Rewiring History. However, that doesn’t mean I’ll never edit it again. Sometimes people think you can’t alter a poem once it is published, but I’m happy to change things that have already appeared in magazines and anthologies. I feel differently about work in my pamphlet – that feels complete – but if one day I think of a better way of making this poem work, I’ll make the alternations on my computer and include them in any further publications. miracles must be tidy, divinely mathematical. rolled itself up in a ram’s-horn curl. She knew the price of wool. stilling his jaw when the overseer walked by. 1. Think: what does this add to the poem? Ask yourself whether you really need each phrase, word, line and stanza. Be brave when cutting, but also canny. Sometimes it’s easy to tighten each individual line, but harder to accept a whole stanza is redundant. Check what needs to be there on both a macro and micro level. Editing is not just pruning or filling in gaps; remember you can move sections too. Would your poem work better in a different order? These are all metaphors I’ve heard poets use to describe the bit of a poem which you, the poet, needed to write to get into the poem, but which the readers do not need to hear. Does your poem begin where you think it begins? Or does it really get underway four lines in? The easiest way to hear what it sounds like is to actually hear what it sounds like. Sharing work in progress can be both helpful and, if you find the right people, confidence boosting. Meanwhile, helping others in return will not only develop your ability to identify what is and isn’t working in other people’s poems, it will also help you learn to identify what is and isn’t working in your own. It can be difficult to admit when something isn’t working, but it is part of the process of developing your writing. If you know something isn’t quite right, be honest and try to do something about it. Holly Hopkins’ debut pamphlet, Soon Every House Will Have One, won the 2014 Poetry Business Pamphlet Competition and Poetry Book Society Pamphlet Choice. 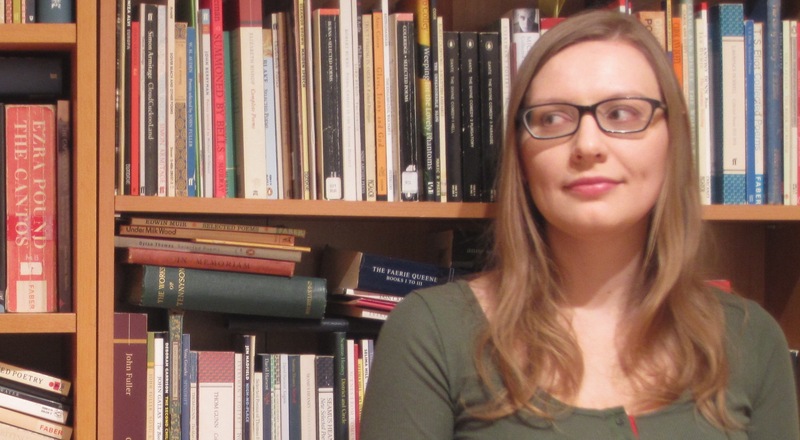 She won an Eric Gregory Award in 2011, and her poetry has been published in anthologies from Sidekick Press, Seren Books and Bloodaxe Books, among others. She was also previously a Poetry Society Young Poet of the Year. Holly was an assistant editor of The Rialto in 2015. Inspired by Holly’s advice? Don’t forget that the Foyle Young Poets of the Year Award 2016 is now open for entries – you can use these tips to help hone your poems before submitting! For more details and to enter your poems, visit foyleyoungpoets.org. Glad this has been a helpful feature for you Mohammad. You’re welcome Denisa! Glad you’ve found it useful. 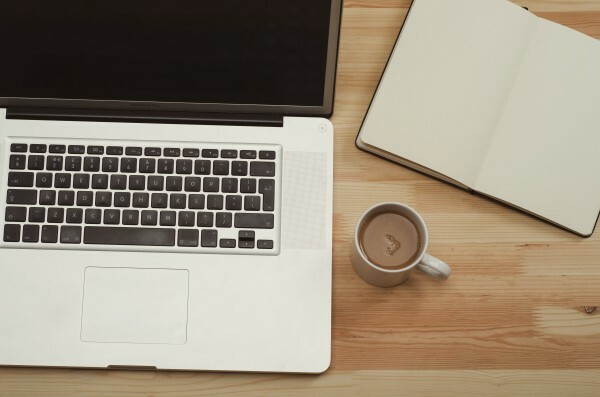 Do you provide single poem editing service? Thanks for your comment! Young Poets Network is a part of The Poetry Society, a UK-based charitable organisation which seeks to promote poetry. 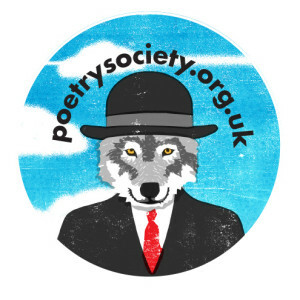 The Poetry Society offers paid one-to-one feedback with poets: you can get feedback on up to 6 poems at a time. Written feedback is called a Poetry Prescription (more info and bookings here: https://poetrysociety.org.uk/services/poetry-prescription) and in person or Skype feedback is called a Poetry Surgery (more info and bookings here: http://poetrysociety.org.uk/poetry-society-information/services/poetry-surgery). I hope that is useful!